After their previous encounter which was a controversial match with the no-ball of the last ball, this one was also expected to be a thriller. The Mumbai Indians captain Rohit Sharma won the toss and elected to field first. Jason Behrendorff swung one into Kohli to dismiss him early on in the innings. AB Devillers and Parthiv Patel went along through the powerplay as the ball was moving around. Parthiv played his shots as he fell for 28 right after the powerplay. Once Moeen Ali joined AB Devillers in the middle, RCB looked comfortable as both played really well to get a 95 runs partnership. Moeen Ali got out after getting a quick 50 off 32 balls. AB Devillers pushed on as he got to the end of the innings getting 75 off just 51 balls as RCB got to 171 in the 20 overs. Rohit Sharma and De Kock started off with a brilliant opening partnership getting to 70 in just 7 overs. Once spin of Moeen Ali was introduced, he got RCB back into the game by getting both the openers out. When spin was dominating, Suryakumar Yadav and Ishan Kishan took them on to get the required rate under control. 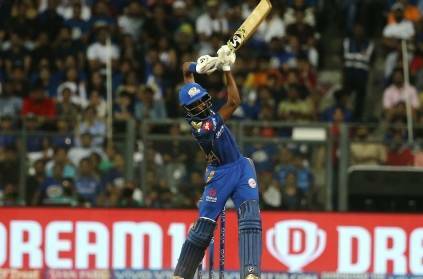 Once Chahal got both of them out, Krunal Pandya struggled to get going as he scored 11 of 21 balls, but Hardik Pandya's 37 off just 16 balls made sure that the MI won with an over to spare. RCB will be disappointed with their bowling in the first 6 overs as they leaked runs. They would have also liked 10-15 more runs on this pitch. The Mumbai Indians will be happy with their victory after chasing this total very well. ‘ஓடினேன்.. ஓடினேன்.. பவுண்டரியின் எல்லை வரை ஓடினேன்’..CSK வீரர்களுக்கு தமிழ் எழுதும் டாஸ்க்..வீடியோ! This page contains news relating to various facts and events. The views are generally about current affiars and general topics in diversified areas such as political, international, national, and regional issues, sports, health, travel, lifestyle, technology and business. People having similar interets on the above topics will find this page useful. MI win against RCB at Mumbai | Sports News.